EFFORTLESS MESS-FREE CORN KERNEL STRIPPER – With its open top design, you can easily get the stripped kernels out after use without scattering it all over your kitchen floor. SAVE YOUR TIME AND EFFORT with this amazing gadget! EXCELLENT ERGONOMIC GRIP WITH NON-SLIP HANDLE – Casual Wizard™ Premium Corn Stripper Shaver is the way for stripping corn kernels without hassle! The anti-slip handle ensures effortless operation and injury prevention while rugged finish on the body helps you to hold it steady on the table. QUICK DISASSEMBLING AND DISHWASHER SAFE – It can be disassembled without much effort for easy cleaning, and not just that! It is also dishwasher safe to save more of your time and effort; simply toss it to the dishwasher and you are ready to go! 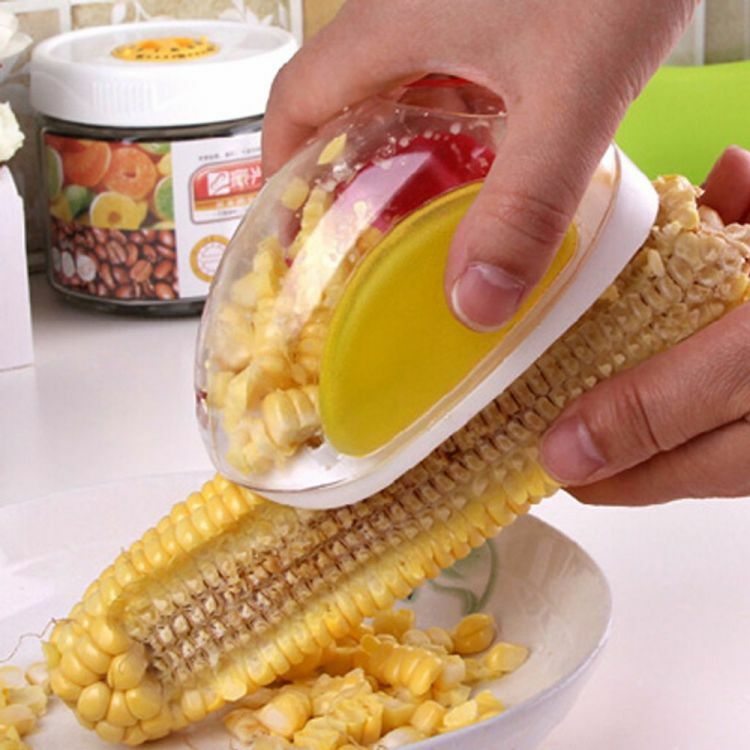 ESSENTIAL KITCHEN GADGET FOR EFFICIENT LIFESTYLE – A modern way of corn kernel stripping, so you can put more of your time and effort in cooking! With the durability and all the convenience, what else are you looking for? Order now!